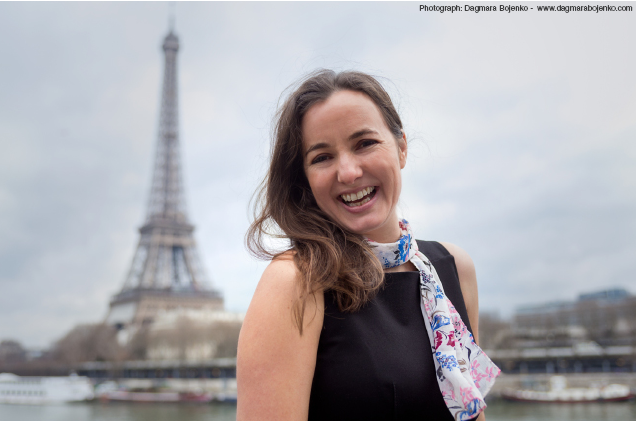 Awarded Best Therapist in Paris 2016 by the international community, South African expat Connie-Lee Bennett has made her mark since arriving in Paris in 2015. Speaking at various events, including; ‘Women Economic Forum’, ‘Global Women’ and ‘Femmepreneurs’ her credentials are endless. We met up with her to find out more about her holistic approach to therapy. Why did you choose to become a holistic therapist? Before moving to Paris, I was given a unique gift and that was to answer the question, “If I have the opportunity to reinvent myself, who do I really want to be?” So I literally drew up a scale from zero to ten and listed all of the possibilities. At the very top of the list was ‘inventing my own holistic therapy style’ and I courageously did. I created Meraki Therapy because I knew it was what would make me truly, deeply happy. You are one of a handful of English-speaking holistic therapists in Paris using an integrative approach. Can you explain what this entails? One of the reasons I chose to create my own therapy style was because I felt that traditional psychotherapy within itself, although amazing, restricted all I needed to do to support my clients. I feel the most effective way of treating anyone is by dealing not only with the mind, thoughts and conditioned views that need to be reprogrammed but also by looking at the body, the soul, emotions, the emotional body (where all your emotional memories are stored), the energetic part of who you are as well as the inner child. What are the biggest differences compared to traditional therapy? I believe that who we are is a spiritual being having a human experience, not a human being having a human experience. To me that means that who we are on a core level is a soul, ‘a knowing’ and this is where our answers lie. This is not something that traditional therapy covers. Do expats in Paris face any unique issues? I have found that the level of depression, loneliness and sense of lack of worth are felt much more deeply in Paris than in London or South Africa. Most people either love Paris or they hate it. 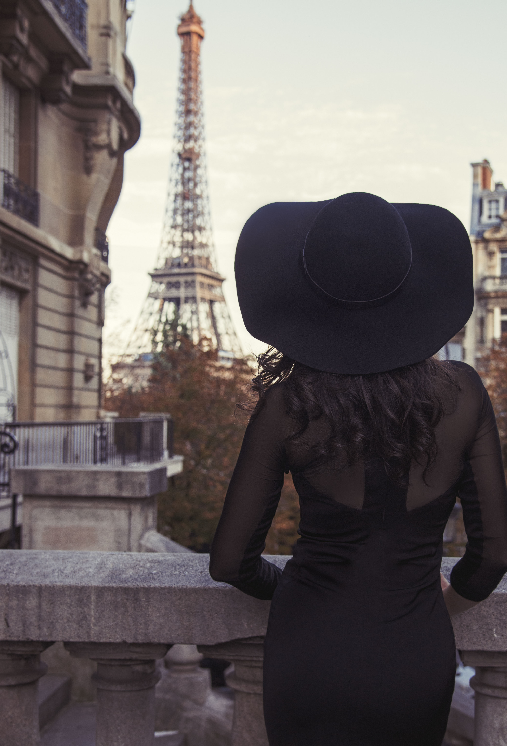 Paris either ignites the passion within or supresses it. The most common issues I have found have been depression and relationship difficulties. How does one overcome such issues? Step 1: Trust – Look at creating a space where you feel you can begin to be honest with yourself and your feelings. Step 2: Awareness – Look at uncovering all the ‘boxes’ you have created that are not in alignment with the authentic you. Step 3: Look at beginning to love all of who you are. Step 4: Release and Forgiveness – Let go of all that no longer serves your highest good and that no longer serves you. Step 5: Invent – Ask the question ‘What can I do now that is in alignment with who I truly am?’ and then do that. Step 6: Vibrancy – Begin to shift the focus to joy and happiness. Step 7: Expanding – Expand your authenticity every day and break through all the boxes that are keeping you ‘stuck’ in life. What I enjoy most is that it’s about learning the steps within myself so that I can teach other people to take the same steps. I believe a true leader, a truly influential person, is one who is willing to explore within themselves. This is what I really enjoy. It gives me a lot of space for reflection within my own growth. It gives me a place to really look at myself in the mirror and find out who I authentically am. I have met the most wonderful people through my work who are willing and desperate to find the space to be. I love providing this space for people. This is what inspires me. Can you give us an example of a successful client case? One of my clients came to me when they were feeling depressed and had extreme social anxiety. Through our work we were able to discover that the reason he had social anxiety was because when he was younger every time he wanted to ‘explore the world’ as a young boy he was told not to (for safety reasons). What my client created was a belief system that who he was on a deep level wasn’t OK and whenever he was expressing his deep passion it wasn’t OK. We did some healing work around this and I will never forget the moment that the light in his eyes returned when he realised that who he was was still that person who wanted to ‘explore and express his inner joy and light’. The way he saw the world had completely changed. He felt it was now OK to be his authentic self. I really love this story because it is the heart of Meraki Therapy.